Believe it or not, there’s more to applying ice melt than simply sprinkling it on the sidewalk and calling it a day. However, many people often neglect to educate themselves on how to properly use ice melt. As a result, there can be some dangerous and messy consequences. Update yourself on these common ice melt mistakes, and make sure you know how to avoid them! One of the biggest, most common ice melt mistakes is simply not using it. To some, buying and applying ice melt seems like a waste of time and money. However, this mistake can be very costly, especially for business owners. If a customer or employee slips and falls on a sidewalk, the business may be subject to legal action and loads of pricey fees and fines. Stay on the safe side by investing in some ice melt each winter season. The more the merrier, right? Well, not when it comes to applying ice melt. In fact, less is usually more in terms of ice melt, and a little bit goes a long way. Overusing ice melt can have some damaging effects on the vegetation surrounding the area in which the ice melt is being applied. In general, you should never apply ice melt using a scoop or shovel. 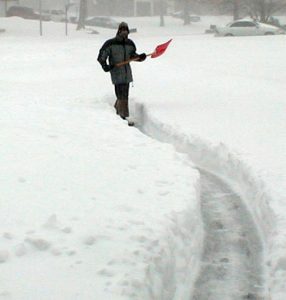 Instead, consider using a handheld fertilizer spreader, or a walk-behind spreader for larger areas. Different kinds of ice melt have different ingredients, spread rates, melting temperatures, melting speeds, and more. For this reason, each type of ice melt performs differently depending on the environment and temperature. When purchasing ice melt, it’s important to consider the lowest temperatures in your area, the length at which you want the product to last, the cleanliness, and melting duration. Unfortunately, putting ice melt on top of an existing layer of snow will not work. So, you should always spread it on the ground before a snowstorm hits. However, it’s not always possible to know when a storm is going to come. In this case, if you’re unable to apply ice melt before a snow storm starts, be sure to apply it before precipitation freezes or right after shoveling pathways. Depending on the ingredients in your ice melt product, it can leave some damaging residue behind that needs to be cleaned up properly. Ice melt that’s tracked inside a building can damage the floors or carpets. When left to sit too long before cleaning up, the ice melt residue can eventually dull the floors’ finish. If ice melt gets tracked inside of your building, it’s a smart idea to clean it up as quickly as possible using a mop or vacuum. In addition, place doormats inside and outside all entrances to the building to prevent ice melt from being tracked inside. One of the biggest ice melt mistakes you can make is not buying it in the first place. 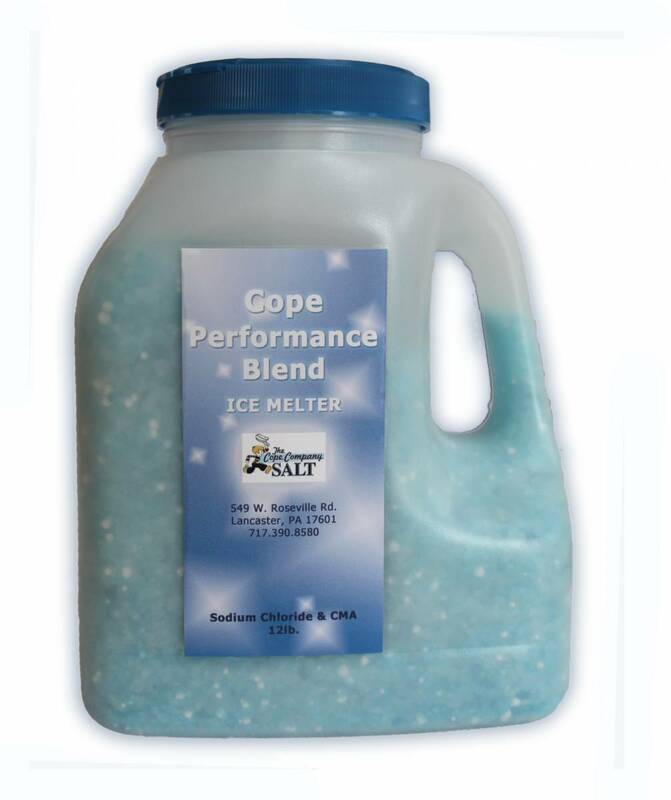 If you’re in need of some ice melt, The Cope Company’s got you covered! Browse all of our ice melt products here.